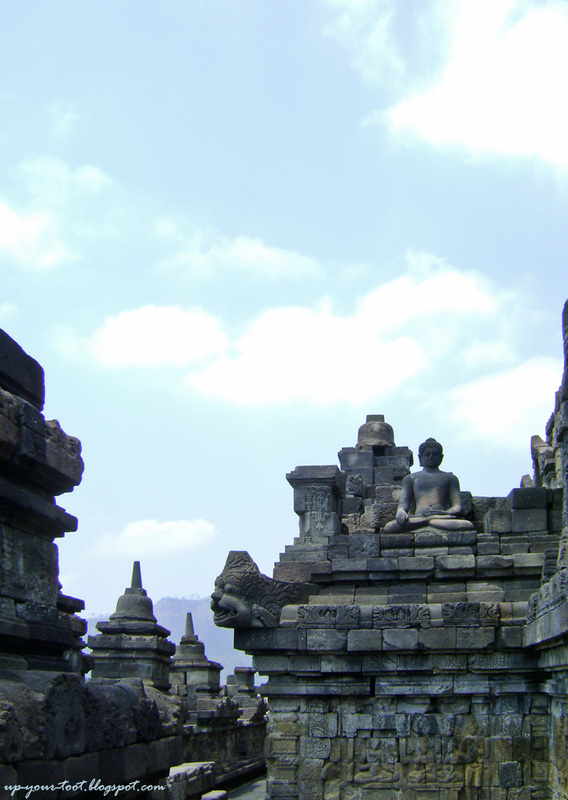 A short post on the Stupas and Buddhas of Borobudur in Central Java, Indonesia. 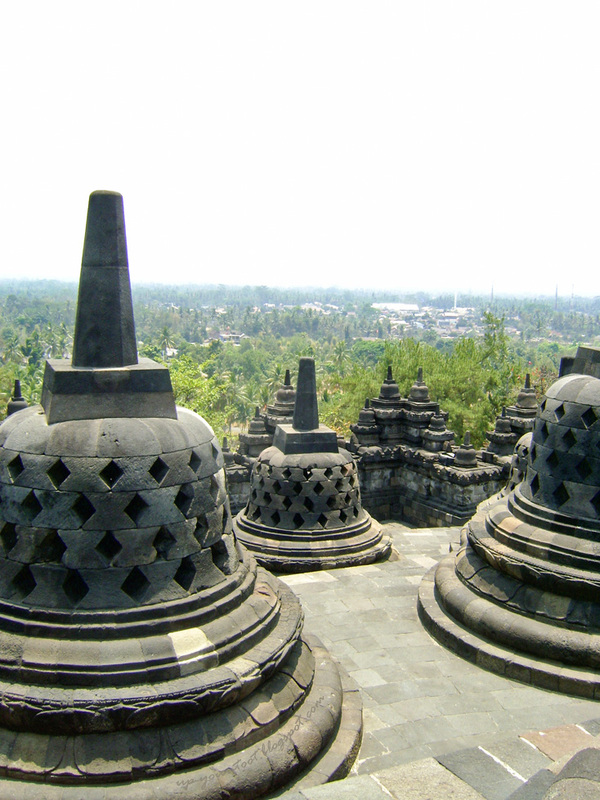 Borobudur is a huge 9th-century Mahayana Buddhist stupa complex, built during the reign of the Sailendra Dynasty. The temple's Gupta architecture reflects the strong Indian influence on this region at that time. I am a Buddha in a Stupa. Unlike a genie in a bottle, I do not grant three wishes even if you rub me down to dust. So do not damage the statue by attempting to rub it or grab it. 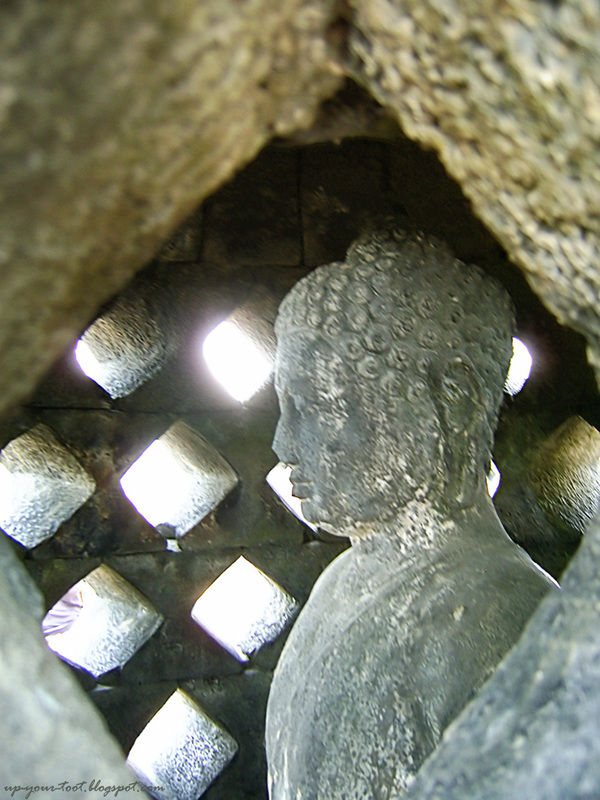 One of the few intact Buddha statues in a rhombic perforated stupa on the upper terrace. Perforated stupas on the upper terrace of Borobudur overlooking the plains below. Bhumisparsa mudra (Calling the Earth to witness) Buddha statue at the Rupadhatu niches. Remember to bring your own umbrella or hat when you are visiting Borobudur. If not, be prepared to be mobbed by the peddlers who will try to make you buy a hat or an umbrella from them, and persistence IS their middle name. If you do not want one, a firm no thank you as you walk away would have to be repeated until you've cleared the area where peddlers are permitted to ply their trade. One of the many headless Buddhas. Don't lose your head or your cool when visiting Borobudur - Remember to bring a hat or an umbrella as the place gets quite a bit of sunlight during the day. Bilalah nak sampai sini...dah lama nak visit. The only tricky thing when visiting Indonesia is getting mobbed by peddlers. Thanks for the tip. Yogyakarta is a nice place to visit. If you take a hired car for a day, the price goes from IDR 500,000 to IDR 700,000 depending on how many people and also up to the driver. 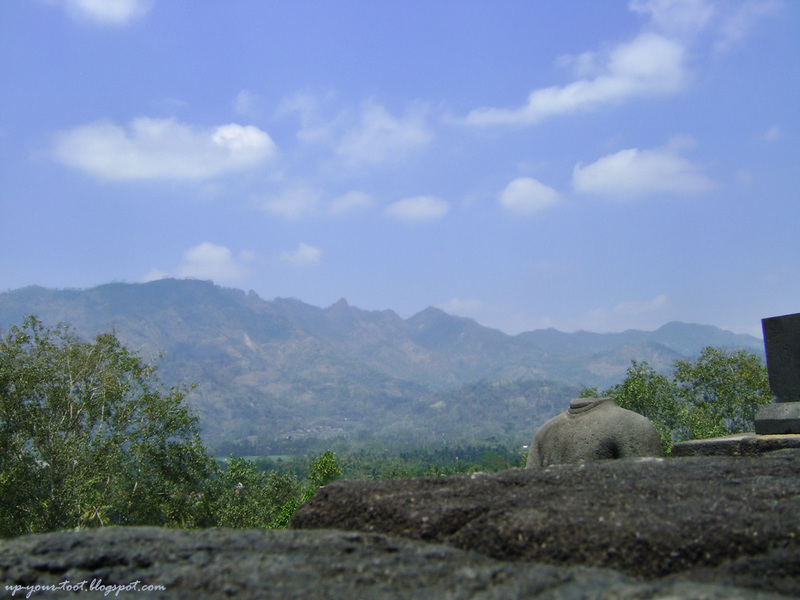 With the car, you can ask the driver to take you to all the candi sites. Entrance fee and parking fee you will have to pay though. Prambanan you can flash your student card and ask for student rate.